A Cessna 185 operated by the National Park Service crashed north of Nome, Alaska April 15 in a remote area within the Bering Land Bridge National Preserve on the Seward Peninsula. The Alaska Rescue Coordination Center received an emergency locator transmitter signal from the aircraft at about 9 a.m. The Alaska Region Communications Center based in Denali National Park was monitoring the mission and when the pilot did not check in as scheduled, was able to use its automated flight following technology to relay accurate identification of the pilot as well as the exact location of the airplane to the Alaska Rescue Coordination Center. The pilot, the sole occupant on the mission from Kotdzebue to Nome, was able to communicate with an overhead aircraft and reported that he had minor injuries. A U.S. Fish and Wildlife Service pilot from Nome attempted to overfly the area later in the morning, but was turned back due to poor weather conditions. An HH-60 Pavehawk helicopter and a C-130 refueling tanker responded from Joint-Base Elmendorf-Richardson with pararescuemen but initially were unable to access the area due to weather — strong winds and blowing snow. A ground-based Search and Rescue team in Shishmaref could not mobilize because of white-out conditions. Later in the day the Pavehawk was able to land at the site. The crew extricated the pilot and flew him to Elmendorf and then to Providence Hospital in Anchorage, where he was treated and released. According to Alaska Air National Guard Senior Master Sgt. Evan Budd, the downed pilot was located with adequate food and survival gear to wait out the storm despite his injuries. In February 1968, then 33-year old Lieutenant Colonel Glenn Carr—who served in the 213th Assault support helicopter company in Phu Loi (about 15 miles north of Saigon, Vietnam)—was approached by a Fire Brigade Commander to provide helicopter wildfire support in nearby Cho Lon. Thinking on their feet, Glenn said his unit confiscated a grain bin that was 8′ diameter by 12′ tall and carried 800-900 gallons of water. The bin was then rigged with a valve using helicopter hydraulics, where they slung it down the Saigon River and made several successful water drops to help extinguish the fires. On a side note, Glenn did not fly the mission but helped build the bucket. L to R) Wingbar Aviation trainer JP Johnston, who is also a Vietnam Veteran, with Glenn Carr at Bambi Bucket’s SEI Industries booth, HAI Heli-Expo, March 2019, Atlanta. SEI photo. The Commander said the bin worked well but washed the neighbouring huts away. So, when Glenn called on an engineer who built their quarters, he suggested a 16″ square air condition grill they welded and fused on all the sides. The result was a water diffuser that allowed the bucket to effectively extinguished new fires without washing away the huts. Today, retired 84-year old Glenn is aware that Bambi Bucket began its successful commercial production in the early 1980s, but he’s wondering if his team’s effort could have produced the first adhoc water bucket in the country of Vietnam? Only time will tell—but his efforts was certainly a great example of field engineering. Aero-Flite’s Tanker 161, an RJ85, at McClellan, March 23, 2016. One of the 13 large air tankers under EU contract for 2019 as of April 12, 2019. Photo by Bill Gabbert. 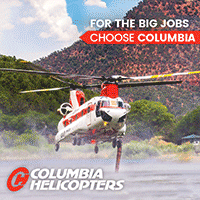 The U.S. Forest Service will have 13 large air tankers (LATs) under exclusive use contracts for this year according to the latest information from the U.S. Forest Service as of April 12, 2019. They will be working under the Next Generation Air Tanker contracts, versions 1.0 and 2.0. Currently six of them have been activated according to the estimated starting dates of the Mandatory Availability Periods (MAP). On April 17 a seventh will begin. The rest will come on between May 1 and May 29. All 13 are slated for 160 MAP days but could be extended if necessary. The baker’s dozen aircraft are likely to be augmented in the not too distant future when the Next Gen 3.0 contract advertised December 2, 2018 is awarded for exclusive use LATs. Forest Service officials are currently going through the submissions which had to be submitted by Valentine’s Day. The solicitation only had five line items, so it appears that a maximum of five air tankers could be added to the contract list, bringing the total up to 18 for this summer. Recently the FS has been awarding contracts that only guarantee one year, with another four being at the whim of the agency. This makes it very difficult for potential vendors to acquire financing and build multimillion dollar air tankers that may not receive a contract, and if they do, it could only be for one year. Last year the Canadian Province of Manitoba awarded a 10-year contract for the management, maintenance, and operation of their fleet of seven government-owned water-scooping air tankers (four CL-415s and three CL-215s), supported by three Twin Commander “bird-dog” aircraft. 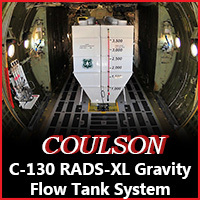 If there is a need for more than 18 LATs, approval of orders for Call When Needed (CWN) ships must be first approved by the Washington Office of the FS. This cost saving effort that began in 2018 is intended to create greater accountability and oversight for aircraft. There are probably more than a dozen large air tankers sitting on ramps over and above the 13 presently on contract for this year. The FS has two pending contracts that have not yet been awarded for CWN air tankers: large and very large. The responses for LATs are due April 18, 2019 while the VLATs were due seven months ago. UPDATE April 17, 2019: The VLAT CWN solicitation has been effectively cancelled, but changes made to the LAT CWN solicitation with responses due tomorrow made it possible for VLATs to meet the contract specifications, so they can be considered along with the LATs. The USFS made so many changes to the solicitation, 12 amendments, that they are calling it CWN 2.1 Request for Proposals. The response due date, originally in the summer of 2018, has been extended at least nine times. Tanker 116, one of the HC-130H aircraft that was partially converted, at Redding, May, 2017. The first of the seven HC-130H former Coast Guard aircraft that Congress sent to the U.S. Forest Service in 2013, which were then rejected and regifted to CAL FIRE, will not be fully converted into firefighting air tankers until 2021. The remaining six will be finished in the following years. The aircraft need various levels of depot level maintenance, some need new wing boxes, and they all need retardant delivery systems. The Air Force is responsible for the required major maintenance and installation of the retardant systems. Three years ago they awarded a contract for the retardant systems, then cancelled it. A new request for proposals was issued March 9, 2019 with a response due date of April 29, 2019. California Senator Dianne Feinstein and nine other members of California’s congressional delegation sent a letter to Defense Secretary James Mattis and Air Force Secretary Heather A. Wilson several months ago in an attempt to motivate them to quit dragging their feet on the project. In 2016 the Forest Service put together a brief planned timeline for receiving and modifying the aircraft which assumed the last of the seven would be fully converted into air tankers and delivered to the agency in 2019. We have written about this debacle 38 times since the legislation to transfer and refit the aircraft was passed in 2013. Air tanker 911, a DC-10, performs a flyover at the NASCAR Autoclub Speedway March 16, 2019. Screen capture from the Jennifer Calandrillo and MBM Motorsports video below. At the NASCAR Xfinity race at the Autoclub Speedway in Fontana, California something unusual happened before the race. Instead of a military plane conducting a flyover, a very large air tanker performed the task. That in itself is not common but one of the pilots in the DC-10 Tanker 911 was the father of one of the drivers about to get in his car and compete. RK Smithley was in the aircraft cockpit and his son Garrett Smithley was in the car’s cockpit. This was the first time ever that a parent conducted the flyover with a driver in the race and it was the largest civilian aircraft to open a NASCAR event. Driver Garret Smithley with Keeley Dubensky and the CAL FIRE Benevolent Fund car. March 16, 2019. The flyover on March 16 was to honor the California Firefighters whose homes burned last year. Garret Smithley’s car had a huge logo promoting the CDF Benevolent Fund, an organization raising funds to help those 57 California firefighters and families who lost their homes and possessions in the wildfires last Fall. To donate, text this code: cdfracecar to 77453. This will send you to a link where you can directly donate or get the address for mailing a check. If you write a check, put cdfracecar on the memo line. The video of the flyover below is courtesy of Jennifer Calandrillo and MBM Motorsports. CL-415, October, 2013. Photo by LA County Fire Department. In addition to grilling the Chief of the Forest Service about hostile workplaces, several other issues were covered in a hearing Tuesday before the Senate Energy and Natural Resources Committee. A video recording of the hearing is available at the Committee’s website. It begins at 19:48. Senator Lisa Murkowski, Chairperson of the committee, said (at 1:39:30 in the video) that a year ago the committee was told by the Forest Service that results from the Aerial Firefighting Use and Effectiveness (AFUE) study would be released “soon”. Launched in 2012, the study is supposed to quantify the effectiveness of the various types of fixed and rotor wing aircraft when they are used on wildfires, in order to better justify the hundreds of millions of dollars spent by the Forest Service on firefighting aircraft. In FY 2017 for example, the most recent year with exact numbers available, the agency spent over half a billion dollars on fire aviation; $507,000,000. 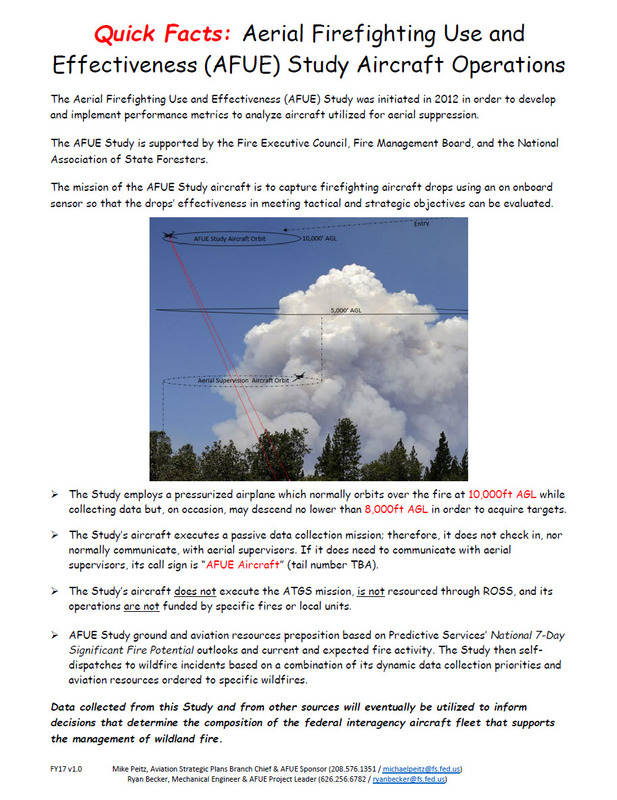 If ever completed and the results implemented, the study could make it possible to answer the question: “What are the best mixes of aircraft to do any fire suppression job?” Data collected from this study and other sources would be used to inform decisions about the composition of the interagency wildland firefighting aircraft fleet — to use the best, most efficient tools for the job. However, to date no detailed reports have been released from the AFUE. The Senator asked about the results of the study, now entering its eighth year. The data is being collected by four “observation modules,” each comprised of three qualified firefighters and a dedicated aircraft, to collect ground and aerial data at wildfires throughout the nation during fire season. In addition to the 12 firefighters, 3 analysts/managers evaluate the data. Christine Schuldheisz, a spokesperson for the USFS, has said the annual cost of the project is approximately $1,300,000. The Chief then referred to a very small amount of preliminary data that was released in a two-page document in March which in a vague manner referred to the probability of success of direct vs. indirect attack by aircraft. This was was reported by Fire Aviation April 8, 2019. Senator Murkowski asked the Chief to have more details from the AFUE study when the Committee holds their annual fire outlook hearing in about a month. Since after seven years the Forest Service has not released any significant data about the study, a person has to wonder what they have found that is so embarrassing, controversial, or perhaps critical of specific models of aircraft, retardant products, or vendors? Some people think the Forest Service will never release the full results of the AFUE study. The Committee might have to subpoena the data. Washington Senator Maria Cantwell mentioned very briefly in the hearing (at 59:00 in the video) the availability of CL-415 water scooping air tankers but the issue was not discussed. The Forest Service, even though funds are available and a vendor offered the usually very expensive aircraft at a greatly reduced rate this year in a meeting with Chief Christiansen and Fire Director Shawna Legarza (according to our sources), the agency does not plan to have any scoopers on exclusive use contracts for the second year in a row. Historically the FS does not hold scoopers in high esteem even though they are used extensively in Canada and Europe. The 2012 Rand Study, which the agency attempted to keep secret (and did so successfully for two years), recommended a heavy emphasis on water-scooping air tankers and fewer conventional air tankers which would have been a monumental shift in the paradigm. On another subject, New Mexico Senator Martin Heinrich expressed concern that the Administration intends for both the Collaborative Forest Landscape Restoration Program (part of the Forest Service) and the Land and Water Conservation Fund (under the Department of the Interior) to be unfunded beginning in October. Again, the Chief mentioned that the White House directed the Forest Service to cut its overall budget by five percent. At 56:30 in the video Senator Cantwell asked Forest Service Chief Vicki Christiansen about the $545 million that was appropriated for fuel management in the recent omnibus legislation but was not mentioned in the administration’s proposed budget for FY 2020 which begins October 1. The Senator asked for assurances that the funds would still be available and would be used for that purpose. The Chief would not commit to the funds still being available, saying, “We will use whatever resources are given to the agency”. The Chief reminded the Senator that the White House directed the Forest Service to cut its overall budget by five percent. A K-MAX helicopter drops water on the Comet Fire north of Salmon, Idaho July 28, 2016. Photo by Bill Gabbert. This year the Aerial Firefighting Use and Effectiveness (AFUE) study that started in 2012 will begin its eighth season. The Government Accountability Office in 2013, a 2009 audit by the USDA’s Office of Inspector General, and Senators and Congressmen have asked questions about justifying the taxpayer’s funds that are annually allocated for firefighting aircraft by the federal government. When asked if aircraft were worth the cost and if they were effective the answers from the land management agencies have been, “Yes”. How do you know? “We just do”. (I’m paraphrasing here). According to the Administration’s FY 2020 budget summary, over half a billion dollars was spent on fire aviation in FY 2017; $507,000,000. 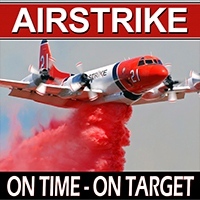 The U.S. Forest Service started the AFUE in an effort to answer the question: “What are the best mixes of aircraft to do any fire suppression job?” Data collected from this study and other sources would be used to inform decisions about the composition of the interagency wildland firefighting aircraft fleet. After seven years of the study, which costs about $1.3 million annually, very little information has been released about the status of the effort or any detailed findings that have been developed. It is almost as if the Forest Service is less than enthusiastic about what they have discovered so far. In fact, a reliable source told us that one or more high-ranking folks in the agency want it to “go away” and that detailed findings would never be released. 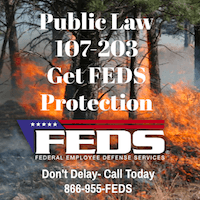 The USFS refused to release the $840,092 RAND air tanker study completed in 2012 even after we filed a Freedom of Information Act Request. Finally RAND released it two years after it was completed, but as far as we know the USFS never did. That study recommended a heavy emphasis on water-scooping air tankers and fewer conventional air tankers, which would have been a monumental shift in the paradigm. In stories like this, we often include the disclaimer that air tankers do not put out fires. Under ideal conditions aircraft can slow a fire enough to allow ground based firefighters an opportunity to contain sections of the fire’s edge by constructing a fireline. Strong winds or dense smoke can make it impossible for aircraft to operate safely or effectively. The data is being collected by four “observation modules,” each comprised of three qualified firefighters, as well as a dedicated aircraft, to collect ground and aerial data at wildfires throughout the nation during fire season. In addition to the 12 firefighters, 3 analysts/managers evaluate the data. Ms. Schuldheisz said the annual cost of the project is approximately $1,300,000. After the first three years the AFUE, the Forest Service found that the data collected from 2012 through 2014 could not be used to provide statistically defensible analysis and results. After making the necessary adjustments to their procedures, they made a commitment to begin releasing detailed annual aircraft use summaries several months after each collection season. The annual reports were scheduled to begin in the early months of 2017 for 2015-2016. By now three reports should have been issued. Ms. Schuldheisz told us that annual reports have not been released but she sent us a copy of a two-page “Fact Sheet” about the program that she said was sent to Congress in March, 2019. (Another one-page “Fact Sheet” was released in 2017.) The recent document includes information about data collection and the preliminary information shown below about probability of success. 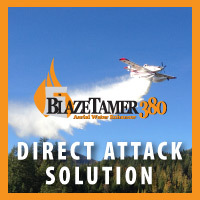 * Direct: Any treatment applied directly to burning fuel such as wetting, smothering, or chemically quenching the fire. 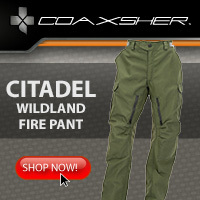 This includes drops adjacent to the active fire or with limited unburned fuels between the drop and fire edge. Whenever you hear the requestor suggest that the intent of the drops was half in and half out, select direct for tactic. 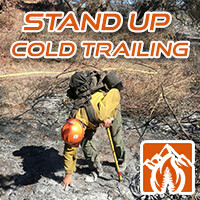 * Indirect: A method of suppression in which the control line is located some distance away from the fire’s active edge. 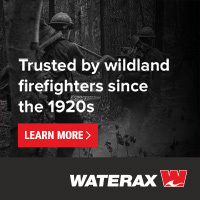 Generally done in the case of a fast-spreading or high-intensity fire and to utilize natural or constructed firebreaks or fuel breaks and favorable breaks in the topography. The intervening fuel is usually backfired; but occasionally the main fire is allowed to burn to the line, depending on conditions. Source: US Forest Service. The two-page Fact Sheet has some preliminary information from 2015 to 2017 with enough data to report with high confidence, Ms. Schuldheisz said. Rotor-wing aircraft data indicates an 87% probability of success in direct attack drops, and 62% in indirect attack drops. Fixed-wing aircraft data indicates a 74% probability of success in direct attack drops, and 56% in indirect attack drops. Rotor-wing and fixed-wing have different mission profiles with a varying degrees of complexity. Both aircraft types fly direct attack missions the majority of the time. Data is collected in multiple, nested scales which account for requestor objectives and then compare those to outcomes achieved at each scale and across various resource configurations. The AFUE developed hierarchical data groupings of: Resource Actions, capturing information about individual drops; Tasks, to aggregate multiple, coordinated individual resource actions, over the course of one shift or less, in support of the task work assignment; and Campaigns, to group multiple aerial and ground tasks, working in concert, for a measurable amount of time, in a defined geographic area, supporting incident objectives. By documenting outcomes independently of objectives, effectiveness can be accurately determined. To translate effectiveness into the observed probability of success, we divide the effective outcomes by the sum of effective and ineffective. Observed probability of success shows how often drops tested by fire meet or exceed their intended objective. 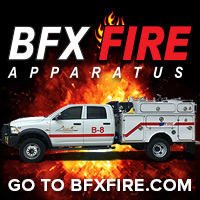 The best mixes of aircraft to do any fire suppression job. Composition of the interagency wildland firefighting aircraft fleet. Track the performance of specific aircraft types. Assess the influence of the operational missions that drops supported and environmental factors that influenced outcomes. We assume, with few details having been released by the Forest Service, that the study will collect data about four to five types of fixed wing aircraft (single engine, scooper, large, and very large) and at least three types of helicopters, Types 1, 2 and 3. Breaking it down by aircraft model and vendor would also be helpful. The type of fluid that is dropped should be recorded: water, long term fire retardant, or water with some other enhancement product. If the study can determine the effectiveness of each of these seven types of firefighting aircraft, it should not only lead to answers about which ones are most effective, but also under what conditions of wind, terrain, fire behavior and fuel types they should be used. Hopefully it will lead to answers to the questions from the GAO, Inspector General, and Congressmen about justifying the half billion dollars of taxpayer funds spent each year. If the study can actually quantify the on-the-ground effective production rates of each type of firefighting aircraft, an analyst should then be able to develop a recommendation for how many of each type are needed nationwide and where they should be based. And beyond that, algorithms or artificial intelligence could eventually, based on scientific data, make on-the-fly recommendations for which aircraft should be dispatched after a report of a new fire, based on availability of aircraft, aircraft production rates, location of the fire, fuel type, fuel moisture, terrain, scooping sites, location of reload bases, congestion at reload bases, weather, and predicted fire behavior. At 10 a.m. EDT on April 9 the Senate Energy and Natural Resources Committee will hold a hearing “to examine the President’s budget request for the USDA Forest Service for Fiscal Year 2020.” It will be interesting to see if Chief Vicki Christiansen is asked questions about the AFUE. These hearings are usually live-streamed. “This Australian air tanker effectiveness study defined results in terms of probability of success in meeting a common first [initial] attack objective of containment within 8 hours of detection. They didn’t try to differentiate between success and effectiveness in their report. They produced an excellent operationally useful study based on probability of suppression that begs for a follow-on study to compare different tanker types. “Maybe the AFUE effort is suffering from excessive complexity by trying to address all the air tanker success, effectiveness, efficiency, and use questions on the first report. I would think it might be useful to get out an initial AFUE report with less complexity, get feedback, and then refine and expand it as more data becomes available each year. Here’s an example of an excellent report using partial data that produced an operationally useful document. 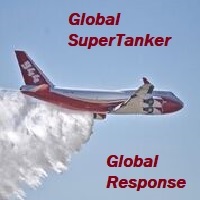 Author Bill GabbertPosted on April 8, 2019 April 8, 2019 Categories Fixed wing, HelicoptersTags AFUE, study4 Comments on After seven years of the air tanker effectiveness study, what have we learned? Oil Spill Response Limited has worked with 2Excel Aviation to outfit two 727s with equipment to spray oil spill dispersant. OSRL image. An oil spill response company in the UK has partnered with an aviation organization to outfit two Boeing 727s with equipment to spray dispersant. Oil Spill Response Limited and 2Excel Aviation have developed and operationalized what they call the TERSUS dispersant delivery system that appears to use some of the same principles as the Modular Airborne FireFighting System (MAFFS) and the 747 SuperTanker. However it delivers the oil dispersant through spray bars, rather than doors in the belly. The 727 has seven 2,200 liter (581-gallon) tanks, for a total of 15,400 liters (4,067 gallons), and a pumping system capable of delivering up to 1,200 liters (317 gallons) of oil spill dispersant per minute. It is likely that it uses compressed air to force the liquid out of the tanks. Only 317 gallons per minute would not be effective if used to apply water or retardant on a vegetation fire. The 727 works with a Cessna Navajo PA-31 surveillance aircraft to assess the extent of any oil spill and provide guidance to the larger aircraft. The three aircraft are on standby ready to depart within four hours anywhere in the world.